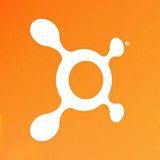 Orangetheory Fitness - Broomfield - Get Involved. Make Friends. Enjoy Motherhood. We are Orangetheory Fitness, the energizing group interval fitness concept that has been named one of the best workouts in the world. This one-of-a-kind workout is divided into intervals of cardiovascular and strength training, designed for maximum energy and calorie burn. Our trainers guide you through a 60-minute workout using treadmills, rowing machines, TRX suspension training™ and free weights, to tone and strengthen your body. One free week for MOD members to try us out.